Website design and a cohesive marketing strategy for plumbing specialists in the Illawarra region. Curran Plumbing is a family owned and operated business with over 30 years of experience. Their goal is to become pioneers in the plumbing industry for the Illawarra, by providing exceptional and expert-driven plumbing services in Wollongong, Shoalhaven and Sutherland Shire. They not only provide solutions for a range of plumbing requirements but also help their customers to better understand and identify common plumbing problems. We partnered with Curran Plumbing to enhance their online presence, strengthen the user experience of their website, and position them as industry leaders for the Illawarra region. As a plumbing provider within the competitive Illawarra market, Curran Plumbing’s online visibility needs to be high and partnered effortlessly with a clear user flow and experience. We sat down with the team at Curran Plumbing to delve deep into their business and understand their brand. How are their service offerings different to their competitors? How could we help shape their brand story more effectively? núcleo’s goal was to identify who Curran Plumbing is, who they want to become, and the best means of communicating this to their customers. Together we set specific goals and parameters around what they wanted to achieve within their budget. Our website design for Curran Plumbing creates a user journey with strong calls-to-action, comprehensive information on each service offering, and extensive online tracking. We created strategic landing pages that target a specific region, service or plumbing problem. Our expertise allows us to help improve organic visibility; each page has been enhanced through search engine optimisation (SEO) and a targeted digital campaign to ensure customers are able to find them easily. With a solid foundation now in place, the focus for Curran Plumbing is to continue to grow their customer reach and enhance their online exposure. To position Curran Plumbing as plumbing industry leaders within the Illawarra, núcleo embraced other traditional marketing avenues, including television commercials, to effectively promote the brand. Plumbing is driven by a solutions-based approach. Customers seek the help of professionals because most plumbing problems are out of their control or knowledge. We used this concept to our advantage in a series of professional video productions to visually engage their customers. We positioned Curran Plumbing employees speaking to the camera about what plumbing symptoms to look out for and how each could be resolved effectively by a Curran Plumbing solution. Our aim was to directly connect the services that Curran Plumbing offers to a customer need. The resulting exposure strengthened Curran Plumbing’s brand representation within the region, drove up sales, and created a constant flow of content and traffic for the website and digital platforms. 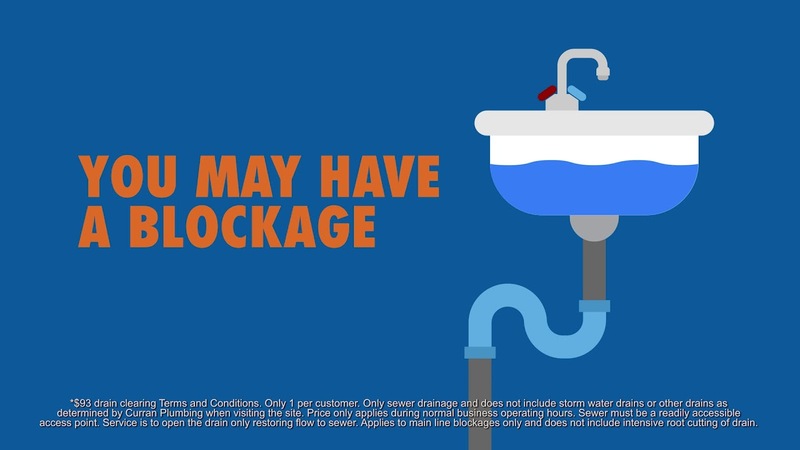 núcleo worked with Curran Plumbing to develop a comprehensive marketing strategy with both offline and digital campaigns. This marketing strategy was a thoroughly planned affair, which spanned the year ahead and outlined how best to increase brand awareness and customer retention. Our marketing experts highlighted specific goals and campaigns that would effectively optimise engagement within Curran Plumbing’s target market. Our partnership with Curran Plumbing was about communicating the intrinsic value of the brand with a full content and digital strategy. We wanted the website to be highly responsive, functional and aesthetically pleasing, with further integrated subpages to optimise the organic SEO ranking and partner with the developed strategy. Meanwhile, the content videos were a great addition to the marketing plan, allowing the Curran Plumbing team to share information in a way that visually connects them with their audience. The website, videos, and campaigns work together to help their brand stand out from competitors in the Illawarra marketplace. Using these unified cross-media strategies and ongoing analysis, we are able to consistently provide greater results for Curran Plumbing.